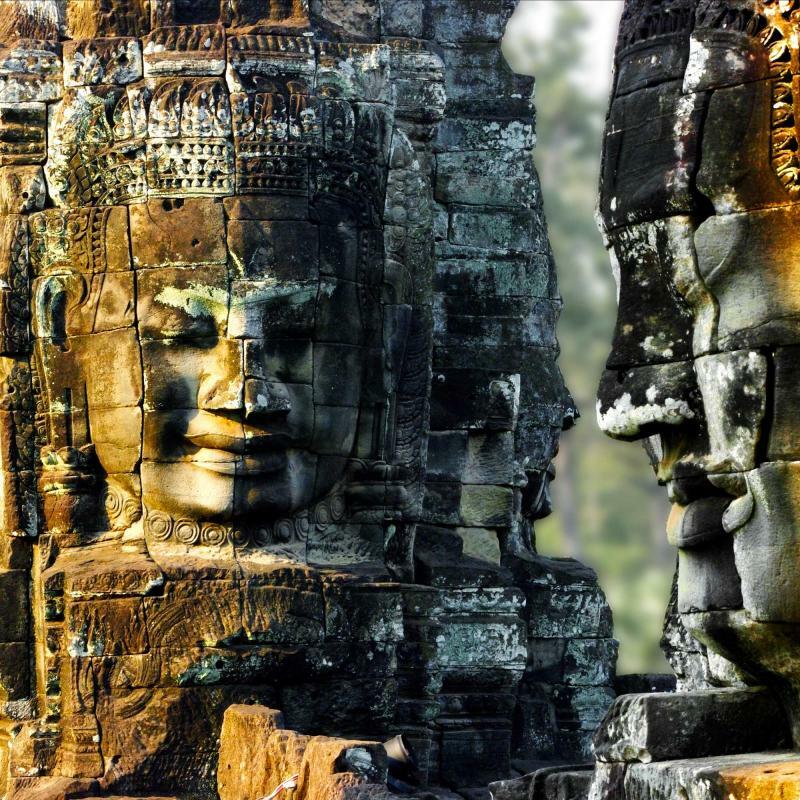 There is no end to discovering new worlds and vibrant cultures on this custom tailored tour that will take you through the ancient traditions and modern cities of Cambodia and Vietnam. 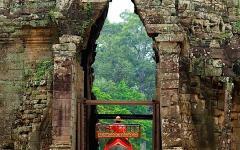 From the celebrated Angkor temple complex to unique ethnic mountain tribes found along the Chinese border, whether adventuring through the Cu Chi Tunnels or strolling along the Sunlight Bridge over Hoan Kiem Lake, you will find the beauty in the customs, remembered histories, and tremendous diversity of Southeast Asia. 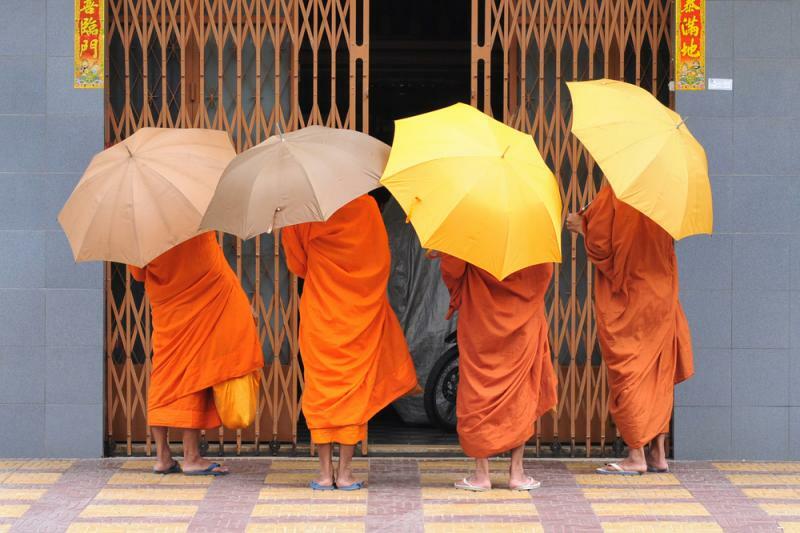 You don’t have to be an anthropologist or archeologist to venture out into the wonders of Southeast Asia and to witness its sensational diversity. 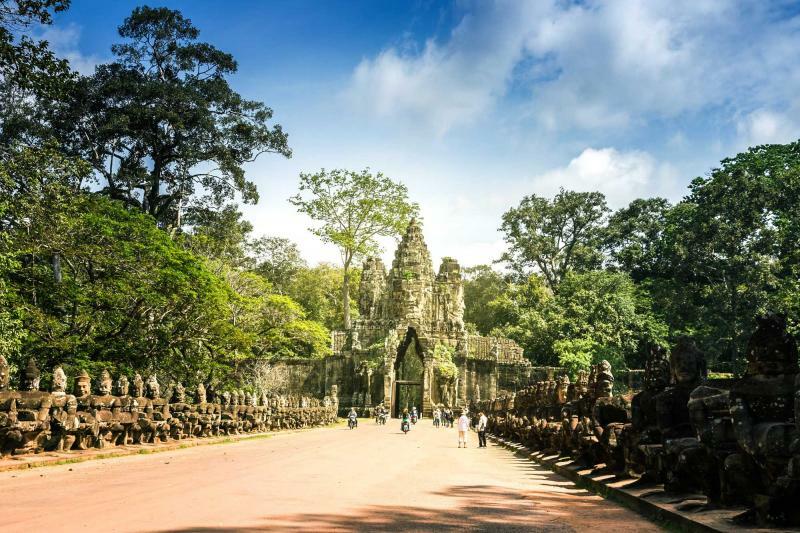 On this 14-day trip to Cambodia and Vietnam, you will explore the tremendous histories that date back millennia, from Angkor Wat to the Old Quarter of Hanoi. 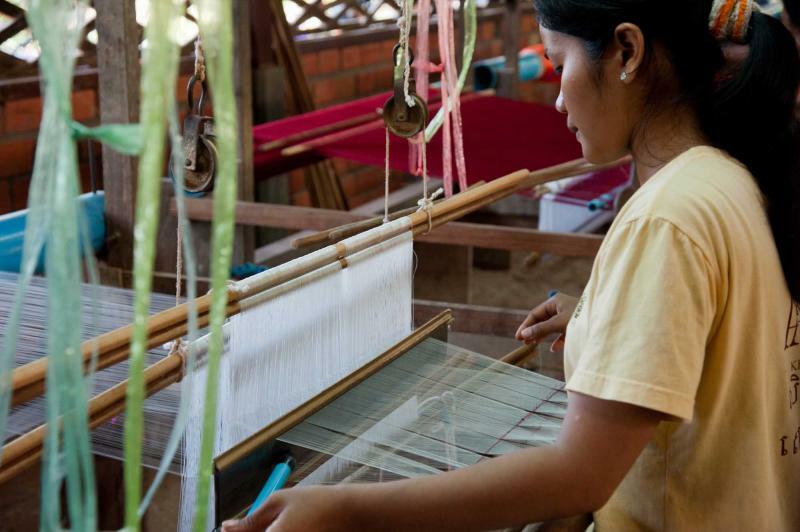 You can experience the traditional markets of ethnic hill tribes whose clothing echoes color and unique styling. 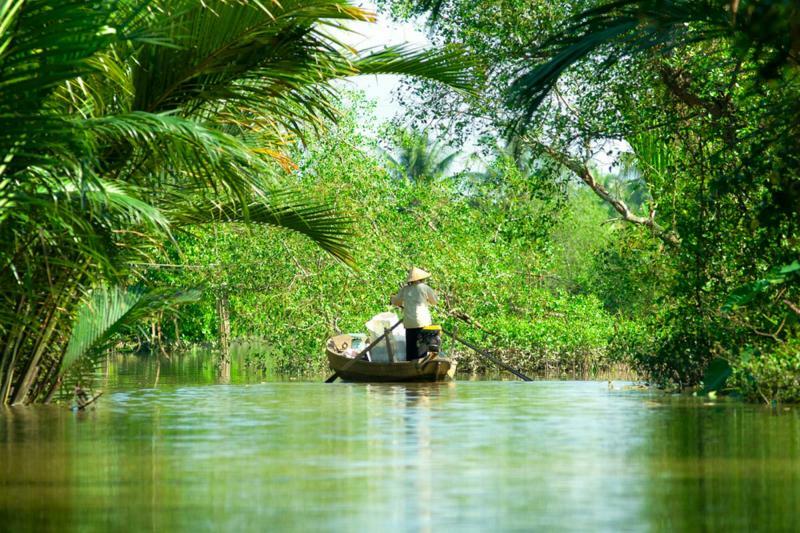 Whether cruising through the Mekong Delta witnessing the rice paddy fields of the countryside or wandering through the Museum of Ethnology for an introduction to the variety of cultures within the remarkable landscapes of Vietnam, you can relish the journey of discovery every step of the way. 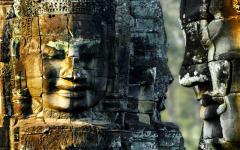 Your venture begins with your arrival in Siem Reap, Cambodia, the gateway to Angkor. The city is both sleepy and energetic along the banks of the Siem Reap River. The following day your guide will meet you and take you out into the famous temple complex of Angkor to witness the expansive ancient city. At Banteay Srei you will find temples with delicate and intricate features before visiting Tonle Sap, an ancient lake where floating villages have made their home for as long as anyone can remember. 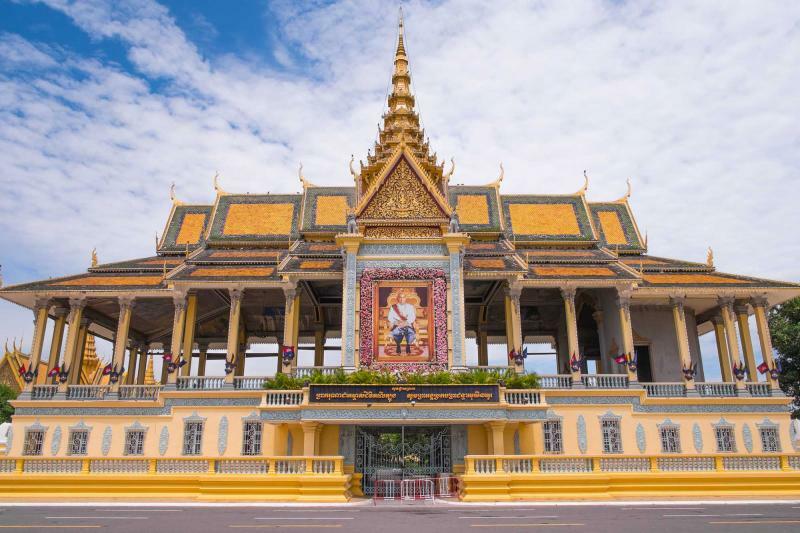 Venture south on the fourth day to arrive at Phnom Penh where the French Colonial lined streets give elegance to a city with a fractured contemporary history of the Khmer Rouge. For two days you will experience both the tragedy and beauty of the city emblazoned on the smiles of the people who have helped bring the streets back to vivacity. 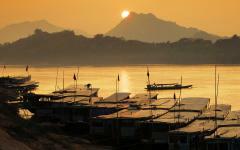 Leaving Phnom Penh will take you along the Mekong River, cruising over the border to Vietnam and arriving in Chau Doc. 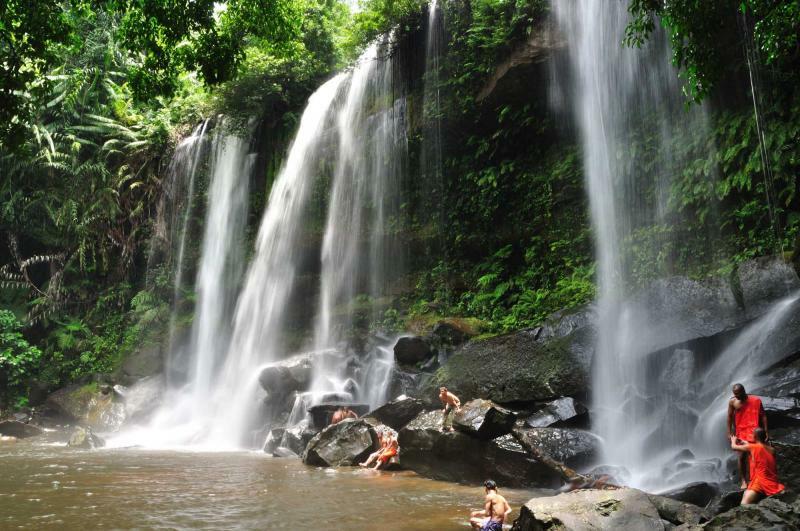 An early exploration of Chau Doc will then find you transferring to Ho Chi Minh City, also known as Saigon. The commercial capital is filled with non-stop energy, from its colonial architecture to the celebrated Jade Emperor Pagoda. Outside of the city you will find the winding labyrinth of the Cu Chi Tunnels and the unique temple of the Cao Dai Holy See. Once in Hanoi you will find a city with roots dating as far back as the 11th century. The calm collection of modern and ancient bring a soothing atmosphere around the bustling colonial buildings. A night train will bring you to Sapa where you will spend two days within the cultural markets and stunning mountain landscapes. The hill tribes have embraced the lush foothills and you can see terraced paddy fields decorating the slopes. Another night train will bring you back to Hanoi where you will catch your flight and return home. 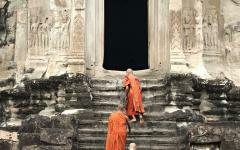 Zicasso offers a variety of Vietnam tours and Cambodia tours; be sure to browse the options. 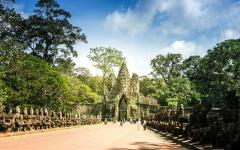 Welcome to Siem Reap, considered to be the modern gateway to Angkor. The city stands on the sleepy banks of Siem Reap River. You notice the plethora of tuk-tuks, simple motorbikes with trollies attached, that hum along the main roads. The scent of the city is filled with a mixture of traditional spices and French pastries, from croissants to baguettes, dating back to an age of French Colonialism. You are met at the airport by a private transfer and taken to your comfortable accommodation at Journeys Within Bed and Breakfast. The charming grounds are a continued mixture of colonial architecture within the temperate jungle surroundings. In the evening you can walk through the energetic streets of the city, delighting on traditional cuisine at dinner and enjoying the Khmer movements of Aspara, masked, and folk dance, along with the sensational intricacies of shadow theater. The morning becomes flush with the predawn as you are met by private transfer to take you to the sensational temple complex. The early hours of the morning bring the cool, misty air around the streets which seem oddly active before sunrise. The energy comes from the anticipation of the temple and temples to come. 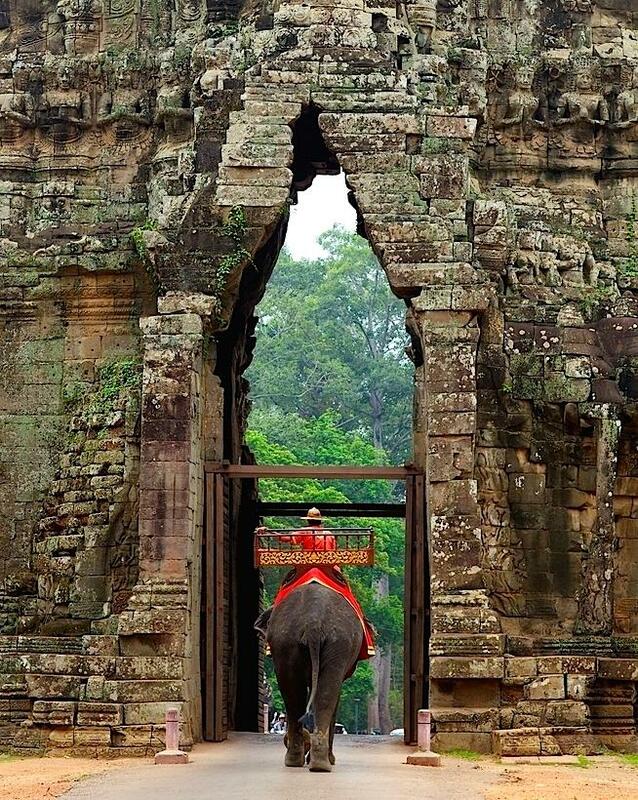 You arrive at the bridge that leads to one of the new Seven Wonders of the World, Angkor Wat. The bridge is made of solid stone, flanked by large swaths of water and the imposing tower of the entrance gate. When you enter the courtyard you can see monks standing in bright orange robes like an imitation of the sunrise, their color reflected in the lily pond behind them which sits before the stunning architecture of the temple. Five stupas rise like hives from the long stretch of stone pillars that create the fabulous picture. 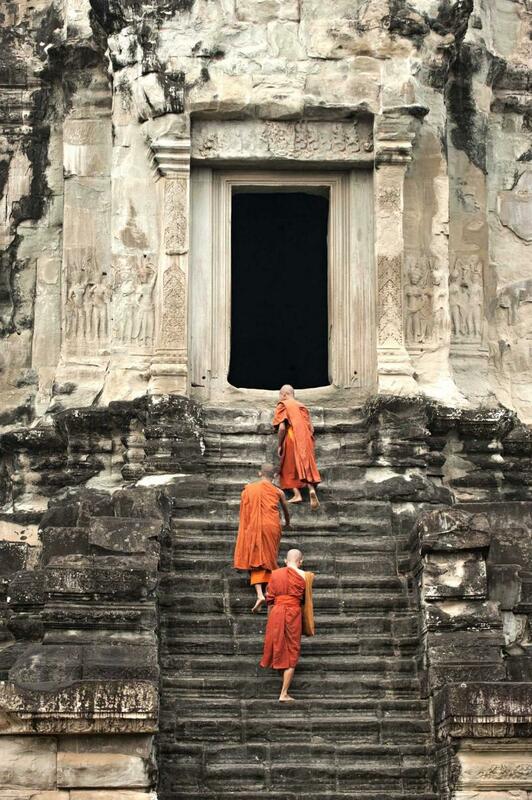 The temple itself dates back to the 12th century and symbolizes the sacred universe of Hindu cosmology. As the sun glints over the largest central stupa you venture into the first gallery to find square pillars and the spiced aroma of incense burning. The ceiling showcases lotus rosettes and carved figures of men and animals dance and prance along the walls. You have the entire day ahead of you, ready to discover the hidden niches and intricate artistry throughout the complex; but for now you are enthralled with Angkor Wat. The delicious flavors of breakfast, from fresh tropical fruits of bananas, oranges, and jackfruit, to delicate baguettes and rich coffee brings brightness to the morning. 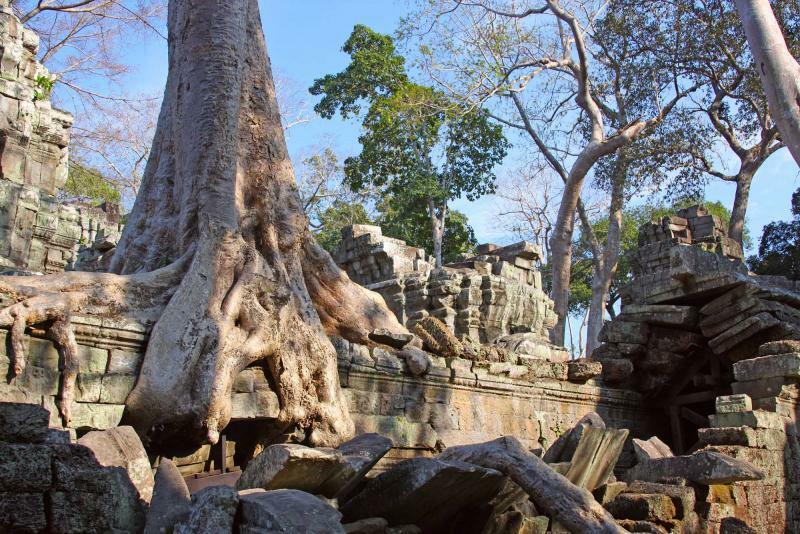 After your meal you will once again venture out of Siem Reap with a private guide to the remarkable temple of Banteay Srei. The 10th century Hindu temple complex has resounding dark red sandstone along the low walls and rising peaking towers. The morning cool begins to shift into afternoon warmth. 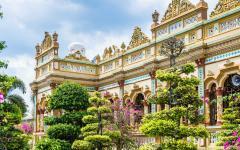 The temples sit in the open plaza surrounded by lush trees and swaying leaves. The closer you come to the rising structures the more complicated the reliefs and the more detailed and delicate their artistry. Each tells a different ancient tale of Hindu belief. The eastern pediment of the central tower shows Indra the god of heaven, while a walkway reaching over 131 feet connects the remains of corridors to the third enclosure. The sandstone continues to add red light to the open blue sky as you travel deeper into the complex’s magnificence finding the art, the architecture, and the landscape blending in to one great moment. Delight in a breakfast of sweet fruits and fresh coffee before being taken to the airport by private transfer for your flight to Phnom Penh, the capital of Cambodia. The quiet demeanor of the city stretches along the Mekong River lined with shady palmed walkways. The French Colonial past is present within the energetic café culture and delectable cuisine that often fuses the flavors of Southeast Asia with the delicate techniques of France. Upon your arrival you will be taken to your hotel before meeting your guide who will tour you through the Tuol Sleng Prison Museum. The Khmer Rouge was the ruling party of Cambodia from 1975 to 1979 during which time the country became a shell of its former richness. Tuol Sleng Prison, also known as S21 is a representation of a tragic past from which the capital is still healing. The prison was once a high school that became the center for detention that at one time held over 17,000 people. The schoolyard is surrounded by the buildings that turned classrooms into cells, now displaying the living conditions of the time through replication of chambers, photographs, and even the list of prison rules. Although a somber connection to the capable inhumanity of a people, the rise of Cambodia and Phnom Penh from the barbarity of its past brings an understanding to the vivacity of the streets and the captivating pleasures of the eateries. In the evening you will be able to sit along the calm waters of the Mekong and enjoy the unique tastes of Phnom Penh while watching the moon reflect off of the river. 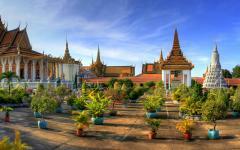 Your guide meets you after breakfast ready to show you the beauty stretching within the cityscape of Phnom Penh. The early energy of the streets isn’t just filled with motorbikes but also the calls of fisherman along the river while making the day’s catch. 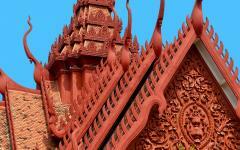 When you come to the Royal Palace you notice classic Khmer roofs with ornate gilding. Constructed in the 19th century for the king, it was expanded in the 1960s to include solid silver tiles inlaid along the floor within the high walls around the manicured tropical garden. The interior also holds an Emerald Buddha revered for its dedicated opulence. Made from Baccarat crystal and stemming from the 17th century, it catches the light in various ways bringing a rainbow coloration to the walls. 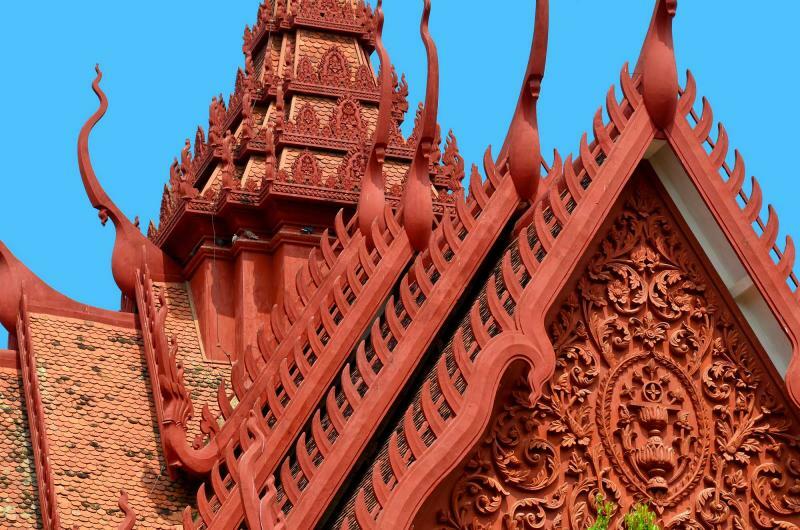 You will also find spectacular architecture and collective history within the National Museum of Cambodia, plush with Khmer styled roofs of a terracotta structure design and housing a millennium’s worth of history. Four pavilions help display the remarkable collection of artifacts from pre-Angkorian collections, including an eight-armed Vishnu statue that dates to the 6th century. Steeped within the opulence of its past Phnom Penh continues to heal with great admiration. In the evening you will once again sit beside the Mekong, this time at the Foreign Correspondence Club restaurant known for its charming terrace, delicious cocktails, and sweet Tempura Prawn Shooters, with a hint of spice. The morning comes fast and light giving you the opportunity to spend the early hours of the day as you please within the streets of Phnom Penh. Whether revisiting the central market filled with lovely spices or enjoying a coffee in one of the many cafes of the city, soon you will find yourself on the Victoria Boat cruising down the river into Vietnam. The comfortable and luxurious boat will glide you down the waterway where you can watch the quintessential landscape pass you by. The rising mountains and lavish greenery are coupled with villagers riding their bicycles beside the banks. You arrive in Chau Doc, a small town in Vietnam where you can see the Khmer and Cham influence continue as an everyday part of the community of temples, mosques, and churches. Floating houses drift on empty metal drums raising fish in nets that drift beneath the boat. You are guided to the Victoria Hotel where the lovely façade resembles the French Riviera promising you a relaxing stay along the riverbanks where you can watch the lights shimmer on the water. After breakfast your guide will meet you at your hotel and ferry you through the exciting sites of Chau Doc. The city is calm and small, which adds a particular elegance to the atmosphere. 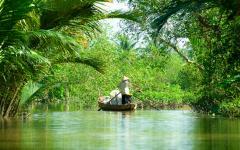 Sam Mountain rises in the distance to a height made impressive by the low plains of the Mekong Delta. Within the mountain you can find tremendous shrines and temples including Ba Chua Xu, dedicated to the goddess and protector. 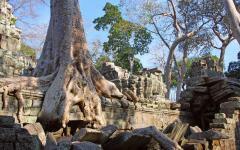 The temple contains a statue that dates back to the 6th century found in the forest by local villagers. The Chinese characteristics of the construction include four roofs colored with blue tiles. The courtyard is calm within the confines of the nearby mountain giving you a chance to enjoy the view before making your way to Ho Chi Minh City, the commerce capital of Vietnam, and checking in to the Majestic Hotel. The energetic streets of Ho Chi Minh City, formerly Saigon, are not surprising considering that this is the commercial capital of the country. The shadow of the skyline rushes against the banks of the Saigon River. After breakfast you are met by your guide who will take you through the historic culture that often hides within the bustle of the modern city. Near the remnants of French Colonialism at the elegant construction of the Cathedral of Notre Dame you will find the Jade Emperor Pagoda. Constructed at the turn of the 1900s the migrant Cantonese community wanted a pagoda that would represent their particular branch of Buddhism. The exterior contains a deep mixture of pink and red within the lush leaves that surround the outer courtyard. When you step into the main hall you notice that the temple is in living and working order, popular with the local neighborhood and the surrounding city alike. The scent of incense climbs through the gallery while the figures of the afterlife are represented in great detail by intricate carvings along the walls. There is a different world outside of the modern city of Saigon, one which you will be able to experience as your guide meets you at your hotel after breakfast. 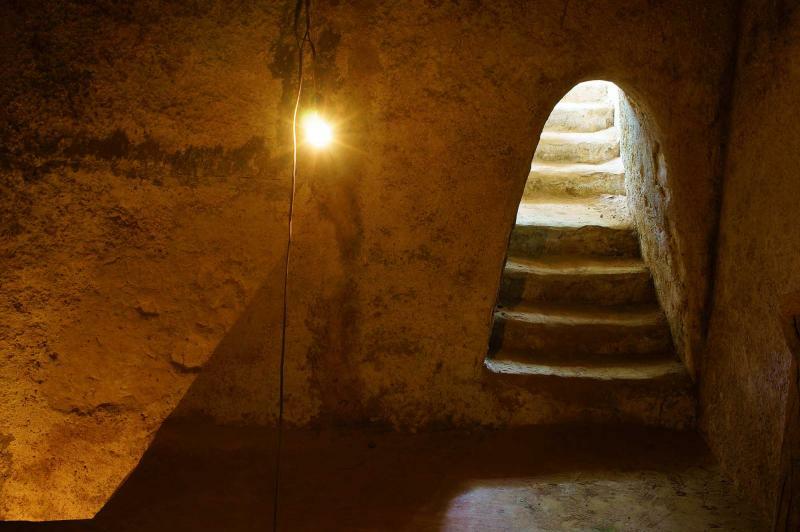 A short distance outside of the city brings you to the Cu Chi Tunnels, a large network of channels burrowed beneath the earth. The network runs almost 125 miles in length, deep enough to have not been effected by tanks and air raids during the Vietnam conflict. Learn about the history of their construction and venture into the network filled with hideouts and passageways. The air becomes cool, filled with a subtle breeze while the clay walls are cold and smooth. You can’t help but want to follow the path deeper along to see where it leads, whether out into the jungle or along the riverbanks. The morning rush of Saigon swirls around the streets and you are awoken with the lingering aroma of fresh brewed Vietnamese coffee. 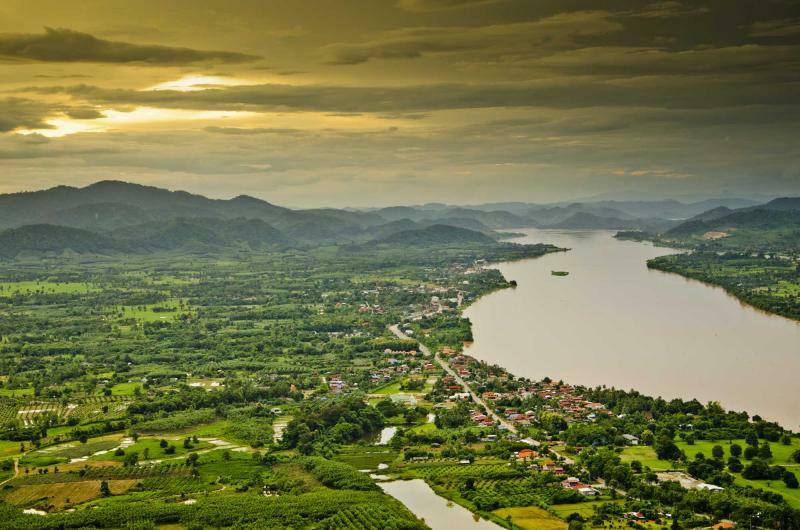 Your private transfer will take you to the airport where you will make your flight to Hanoi, Vietnam’s capital. After settling into your hotel your guide will take you through the diverse neighborhoods that date back do the 11th century. 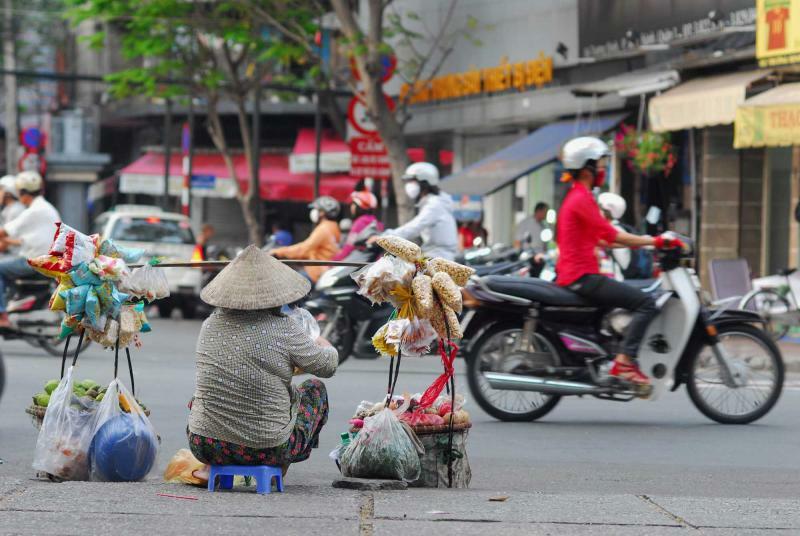 Motorbikes glide through the French Colonial streets while women in conical hats stroll through the Old Quarter carrying poles balanced with woven baskets stuffed with spinach or oranges. The Old Quarter is filled with colonial architecture and Buddhist temples showing the range of the city’s history that displays traditional riches and customs mixed with modern commodities as well. Stroll through the preserved shops constructed over a century ago; long and narrow styles with openings facing the street and numerous courtyards within. In the evening you will enjoy the famous Water Puppet Theater, whose genesis reaches back a millennium, when farmers once stood in flooded paddy fields entertaining their families and the villagers with puppet mastery of well-known legends. Temple. You can also choose to explore the Ho Chi Minh Mausoleum Complex. The marble stone mausoleum towers over Ba Dinh square and is an important site for Vietnamese pilgrims from all over the country. The impressive façade stands on a towering portico with pillars holding the canopy. 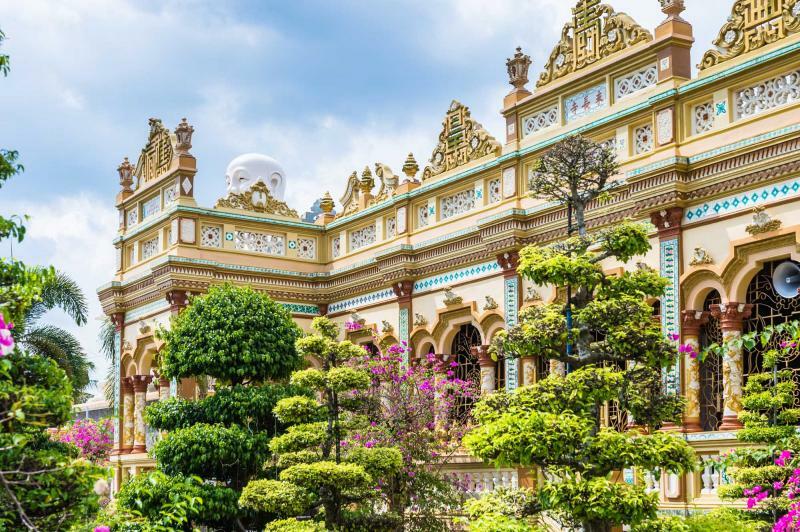 If you follow the path leading behind the structure you will come to manicured gardens and a swooping opulent yellow façade that dates back once more to the colonial era. The Presidential Palace was home to the celebrated Ho Chi Minh; however, not within the structure but close to the property. In a modest wood home on stilts that sits next to a quaint pond draped over with vibrant leaves and lily pads you will find the old electrician’s home. Ho Chi Minh chose this house to be his residence as leader of Vietnam. The air is scented with herbaceous greenery while the interior contains elements of Ho Chi Minh’s life, from the chairs surrounding the communal table to the upstairs bookshelf where you can find his typewriter. In the evening you will be taken to the train station to step aboard the night train that will take you northbound to the mountain city of Sapa. You arrive in the north early in the morning and are met by private transfer. Soon you arrive at the morning market that, especially on Saturdays, is in full swing. The sounds, scents, and sights brim with something new around every corner. Ethnic tribal women come from all over the hillsides to buy and sell goods. 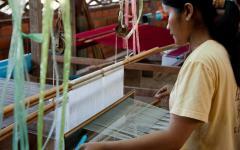 Hmong and Dzao women vend their celebrated brocade weavings while many others offer local crops of corn or spinach. The aromas of spice and herbs come as much from the produce as it does from the food stalls where you can hear jovial sounds of locals conversing as they dine. Later in the day you will ascend Ham Rong Mountain at the center of Sapa, shaped like a dragon’s head and always watching over the town. The area is home to over 6000 orchid plants of 194 varieties while also displaying innumerable other flowers species as well. Stroll along the stone path that leads you to the wild peach forest where the leaves sway in the gentle breeze and the sweet scent of the surrounding flowers encompass the air around you. You can trek up to San May, also known as Cloud Yard, for a fabulous panorama of the town. In the evening you will settle into the luxuries of Victoria Hotel, a four-star establishment with views to the endless mountains in the distance. Sapa is partly known for its early morning mist which drapes across the lower altitude mountains like a blanket of clouds. You can watch the fluffy expanse begin to drift and disappear in the sunlight as you sip your morning coffee in the cool air of the day. 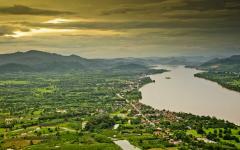 Your guide will meet you at your hotel and take you to Bac Ha known for its ethnic market and the variety of villagers that come to trade. The colors are varied along the clothing and the food that brings dynamic life to the pathways. Bursting with wares on Sundays, the market is about the necessities of the hill tribes, beginning at dawn and winding down in the late hours of the morning, but constantly in motion. The old adobe houses continue to rise along the main streets while chickens cluck in the early light. Flower H’mong women sport elaborate collars that wrap into shawls pinned at the neck made of tightly woven vibrant fabric. Tay offer samples of their home-brewed wines made from corn, cassava, or rice. The Flower H’mong’s corn wine is quite potent and on display amidst the vibrant hues of the active market. In the evening you will once again venture aboard the night train for your return to Hanoi. The morning comes to Hanoi with a light energy to the streets and a subtle breeze across Hoan Kiem Lake. You are met at the train station and taken to a delicious breakfast readying you for the day. Soon you will be departing the airport with your flight soaring through the sky homeward bound but for the moment you can sip your fresh coffee, indulge in the aroma of flakey, butter French pastries, and watch the capital city come to life. 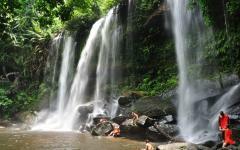 For ideas on how to customize your trip further, read the reviews of Vietnam tours and reviews of Cambodia tours.